You want to enjoy undisturbed deserved break from everyday life in Regensburg? Then we are the right place for you! We are adultonly and we welcome children over 12. The hotel is centrally situated in the old town. It is a historic building from the 18th century, which was first used for storage,then as a municipal administrative building and in the last 100 years as a police station. The hotel belongs to the category "budget luxury". The hotel is part of the World Heritage Site Regensburg. In the immediate vicinity you can find theaters, restaurants and bars. All attractions of the Old Town are within walking distance. 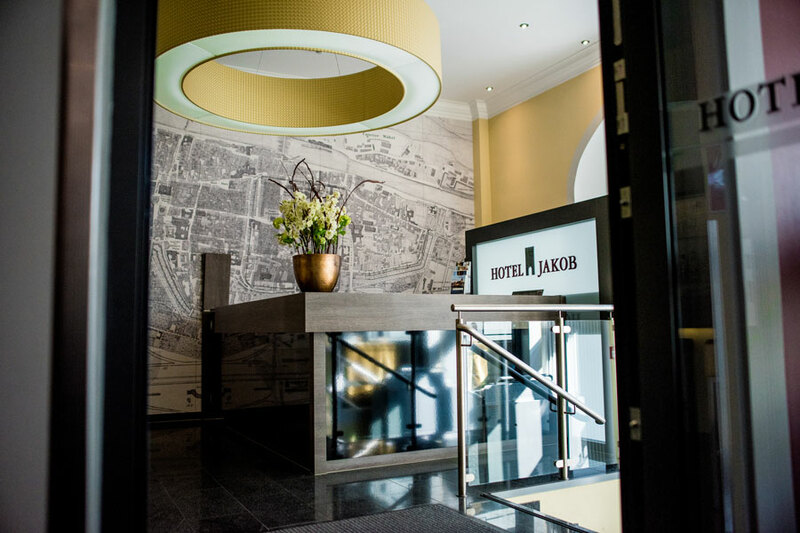 The Hotel Jakob offers you all the modern comforts and a high-quality service. The hotel features elegant and well designed rooms, which create a perfectly friendly atmosphere. All rooms are additionally equipped with a bathroom, TV, W-lan high-speed internet connection and air conditioning. 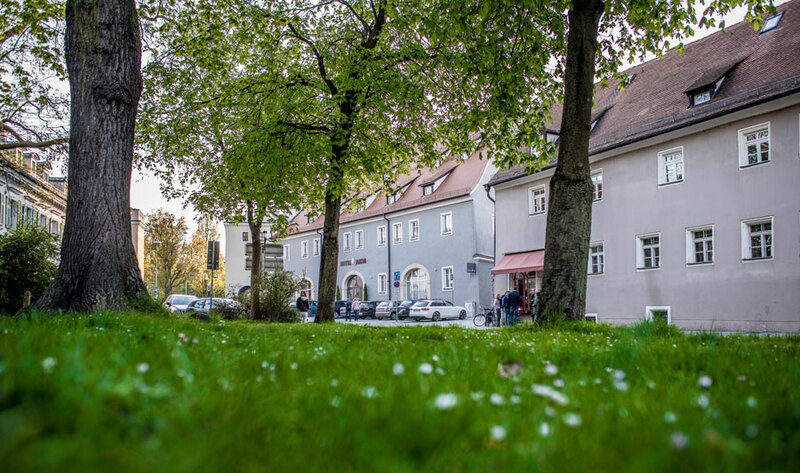 The train station of Regensburg can be reached by taxi in only seven minutes from the hotel and allows direct and fast connections to the airports of Munich and Nuremberg. Furthermore, the hotel has own parking spaces. We would like to inform you, that we are a non-smoking hotel. We provide our own parking spaces directly in the backyard. You can reach it by Stahlzwingerweg, a side street of the Jakobstraße.